Aeris WeatherBlox is an exciting service that allows you to quickly add highly customizable weather content to your website. WeatherBlox is a library of weather components that can be used as individual weather snippets or combined to create complete weather pages. 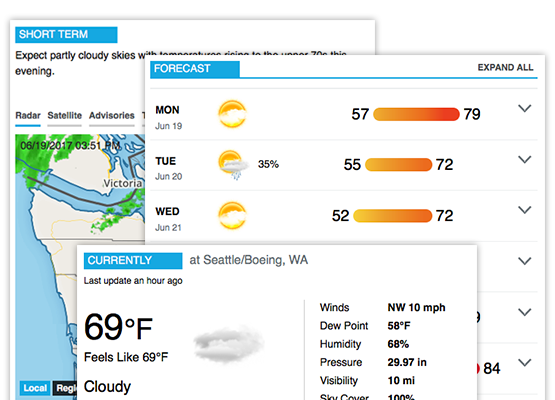 Since WeatherBlox support responsive design, these are perfect for both desktop and mobile web applications. Follow our Getting Started guide to quickly add WeatherBlox to your site today!